Learn about the practice ground improvements at one of Northeast Florida's premier courses, Golf Club at South Hampton. 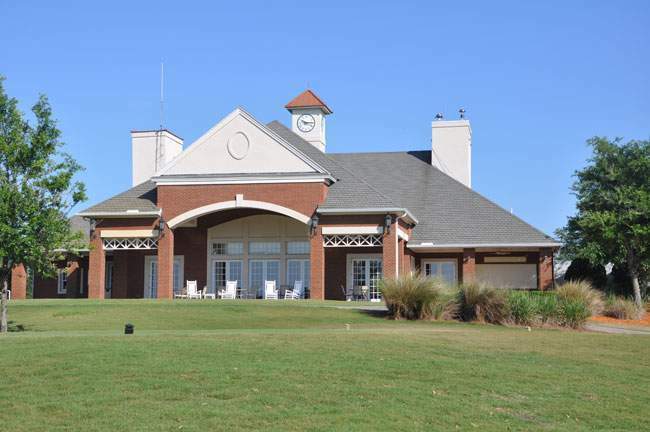 Following months of meticulous planning with Golf Course and Landscape Architect Harrison Minchew, The Golf Club of South Hampton has announced the 2018 debut of the new DWA Golf Practice Grounds, a renovation projected to become the best growth of the game facility located in the Greater Jacksonville area. The Practice Grounds, located in St. Augustine, Florida, will include significant changes to the current facility, with the goal of totally reshaping the current visual for enhanced practice and play. Check it out. Beginning shortly after the New Year, all practice facilities and putting greens will close to the public for construction and renovations for a 6-8 week period, followed by a several month new turf grow-in period. Renovations will include a total redesign of the current facility, new drainage, irrigation, an enlarged golf cart staging area, added overflow parking and additional vegetation and trees to beautify the appearance and control the direction of hitting. Once the reshaping phase is complete, the teeing areas at both ends will undergo total reconstruction, and once complete will feature triple the size of the current hitting area for an enhanced experience. The project will also include an enhancement of the Full Golf and other membership areas, with the largest focus on the Member Only Area—featuring an enhanced Member Only Hitting Tee and a leveled, expanded and re-grassed short game area that will include a more realistic place to practice shots within 50 yards, your bunker game, and 5000 square foot green surface. The construction of a new road on the west side of the range will allow for easier access to the Member Only area. In addition, members can enjoy an atmosphere of exclusivity with no teaching allowed, combined with new features including bag stands, ball storage, and more. Construction on both ends of the range will include newly designed targets ranging in ten-yard increments, providing players the capability of practicing their game within 100 yards. All main target areas will be in the center of the range, located on an island at strategic yardages. Enhanced programming, instructional offerings, demo days for equipment, clinics, and fun events will also be included to offer the best growth of the game opportunities. Newly appointed Head Golf Professional Kris Smith, whose prime focus will be as the growth of the game program director, will head all new public programs, member-only programs, after-school programs for kids of all ages, special events and more. Whether you are new to the game of golf or an experienced player, golf schools are sure to help you improve your skills and provide feedback you can only get from live instruction. Whatever your goals, be sure to add the newly renovated DWA Golf Practice Grounds at South Hampton, set for completion July 2018, to your list of places to visit during your golf vacation.